For your family’s Safety and your peace of mind, we treat bathroom floors, bathtubs, showers, kitchen, patio, swimming pools, and spa. For business owners who want to lower the risk of their patrons or employees slipping and falling, while keeping both the workers comp and liability insurance premiums low and minimize the lost time of your employees due to an accidental slip and fall injury. For retail stores, senior homes, airports, amusement parks, hotels, grocery stores, convenience stores, restaurants, departmental stores, sporting events, universities and schools, city offices, senior homes, and many more. For large organizations who want to minimize employee lost time and control their rising insurance costs, in addition lower their OSHA recordable rates. For food production plants, meat processing industry, beverage industry, chemical industries, and many more. Floor Traction Testing – Our certified technician will test the traction levels of your floor or surface. The ADA recommends traction levels of .60 or greater to prevent slips and falls. We use the ASM-825A Slip Meter. Epoxy Coatings – Provide a fresh new look, protect your surface, and improve the traction with garage floor coating, as well as for decks, patios, loading docks, ramps, stairs, and storage rooms. Waterproof Sealants – Water proof your surface to keep out the moisture as well as provide a fresh look. Great for concrete or natural products. Baths, Bathtubs, Showers – Anti-slip flooring treatments and products that increase traction in your bathrooms to include bathtubs, showers, and floors. 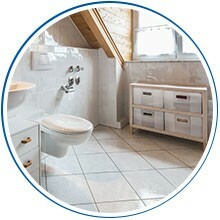 Our products and services work on porcelain and fiberglass. Restaurant Non-Slip Flooring Treatments and Maintenance Services – Anti-slip treatments and products that increase traction in your restaurants to include kitchens, bathrooms, and floors. Our products and services work to not only remove the grease buildup, but maintain a floor with adequate traction to prevent slips and falls. Non-Slip Treads – Non-slip treads and products that increases traction in your workplace or home. Our certified technician will test the traction levels of your floor or surface. The ADA recommends traction levels of .60 or greater to prevent slips and falls. We use the ASM-825A Slip Meter. 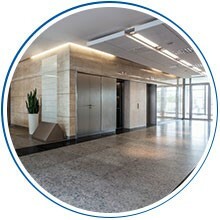 Our certified technician will work with you to provide any level of consulting to achieve your floor safety needs. 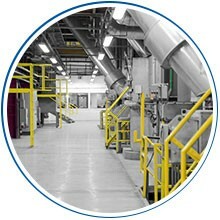 Services include: walk through audits, floor maintenance review, floor product review, and floor safety training.